Posted February 21, 2011 by Road Junky. Movies have long romanticised our perspective of organised crime – but what has it done to the thugs themselves? When it comes to the mafia, Hollywood has a lot to answer for. Images of the ‘mob’ conjure up masterful performances from De Niro, Brando, Pacino, Peschi, the criminal organizations vindicated by some of the greatest acting talents in the world. Murderers are cool, they’re ‘good fellas’, they’re ‘connected’ and if once in a while they have to ‘whack’ someone, well at least they get all the good lines. It’s nothing personal, after all, just business. The roots of mafia are as old as society itself. 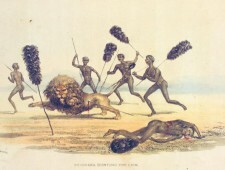 The first monkey that learnt to get its bananas by hitting the productive monkeys over the head with a branch paved the way. Wherever there’s a buck to be made by extortion, contraband and theft, humans get together and fill their pockets at the expense of the rest. 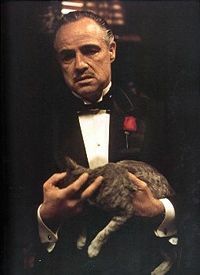 The Godfather was recently voted the best film of all time and while Francis Ford Coppola’s interpretation of Mario Puzo’s novel allowed us all to feel as cool as a mafia hitman for a couple of hours (who hasn’t said ‘I’ll make you an offer you can’t refuse’? ), the truth got buried under the drama. There are mafia organizations across the world who intimidate, extort, steal, maim, torture and murder the ordinary working people they feed off. Organised crime is violent, heartless and ugly. Sure, we can romance that the Yakuza in Japan follow an ancient Samurai code or that Cosa Nostra in Sicily administer a local justice more in tune with the people than the government. You can even say that organized government is ultimately a form of mafia, extorting taxes from the people, controlling them with armed police while allowing the corporations to bleed the country dry. But that doesn’t make an Albanian hood who traffics in the flesh trade cool. It doesn’t make the Camorra thugs in Napoli who torture their victims before they kill them any the more quaint. Nor is there anything democratic about Bal Thackeray’s thugs in Bombay burning copies of any book they consider to be anti-Hindu. But if Hollywood has screwed us up when it comes to the mafia, what has it done to the hoods themselves? According to the courageous Robert Saviano, the Italian criminals have done their best to live out the images they’ve seen on the screen. There are mafia bosses who have modeled themselves on Don Corleone, female figures in the mafia who dress like Uma Thurman and there’s scarcely an assassin who doesn’t now shoot his gun sideways like in the Tarantino movies. The result apparently, is a mess that always needs more than one shot. So the next time you think about opening a business and don’t have to consider how much protection money you’ll have to pay, be grateful. Just like when you don’t have to worry about getting a bullet in the back of the head from being seen with the wrong person. Or having your daughter abducted and sent abroad into forced prostitution. And if you’ve never really thought about it, it’s because it doesn’t make good cinema. 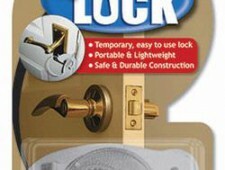 Keep People Out of Your Hotel Room with the How Sar Quick Lock! 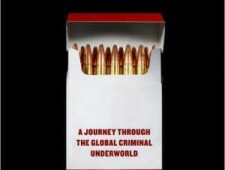 Organised crime is getting more and more organised.